Today, many are searching for ways to add extra income into the family budget while maintaining a permanent job, or while seeking a new field of employment after layoffs. 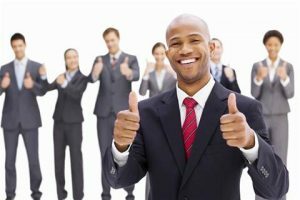 Some are finding that extra income comes as easy as securing their Texas Real Estate Salesperson License through training provided from an approved Texas Real Estate School. Busy adults often find that online education better meets their time-schedules over the use of traditional schooling. This required realtor coursework can be accomplished when free-time is available, and not during set classroom hours. State approved Texas real estate license schools teach the same things both online and in traditional classroom settings. Real estate rules, codes, and laws in Texas are confusing in places, and this is why proper education through a state approved school becomes important. After classroom courses are passed, records are reviewed by the Texas Real Estate Commission as a part of the actual licensing process. To become a licensed Real Estate broker in Texas, there are several guidelines that must be met before you can begin to practice. Before starting ensure that the applicant is either a citizen of the United States or a lawfully admitted alien 18 years of age or older. The following is a list of steps required for this license. No steps can be skipped over. Each step must be completed before the next. The first step is to fulfill the education requirements. There are four varying core courses that must be fulfilled. They range from the Principles of Real Estate to the Law of Contracts and amount to about 90 hours of in classroom time. In addition to these core requirements, the applicant must take an additional 30 hours in core courses as well as 60 additional hours in core or related course areas. The second step is the evaluation of the education documents. The applicant must present a credit transcript or certificate. This must be done prior to filling out the application in order to obtain a Salesperson License. There will be a $30 evaluation fee. The third step is to fill out the application itself; remember steps 1 and 2 must be completed first. The charge is $107 total, which includes both the original application fee and the recovery trust account; formerly the recovery fund. The fourth step is to obtain information pertaining to the licensing examination. This information can only be obtained after the application has been accepted. The applicant will receive the candidate information brochure with information on registration for the exam. This exam must be passed within 6 months from the date the application was accepted. The fifth step is a background check. The background check will not be conducted until the examination has been passed. The sixth step a check into the applicant’s student loan history. According to Texas law a person cannot be licensed if he or she has defaulted on student loans. It is important to check into this before you reach this far in the application process. The seventh step is to find a sponsor. The program requires the applicant to enlist an active Texas real estate broker as a sales person. Remember, other applicants or inactive brokers do not qualify as sponsors. The eighth step is to remember that it is illegal to practice in Texas prior to having a Texas real estate license. Also, Student loans are often available for Texas real estate training, but it is wise to consider all circumstances carefully before deciding to use student loans if there are current financial issues that might prevent repayments. To be approved for a Texas Real Estate License, student loans can not be in default with Texas Guaranteed Student Loan Corporation. What’s the first step to getting into real estate? One of the first things that you need to do is get your Texas real estate license. 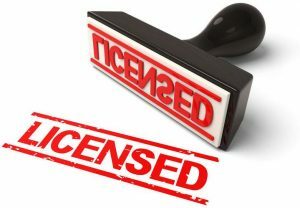 The Texas Real Estate Commission (TREC) keeps a list of training providers on file that has passed inspections that decide if the quality of classes meet the high standard of Texas training required for licensing in the state. Online classes are available so that training is easy to schedule into your lifestyle. Getting your real estate salesperson opens you up to sell all kinds of real estate. An example of easy real estate to start with could be timeshares. Today, timeshares in some parts of Texas are selling for very reasonable amounts of money and many people are wondering how to become a middleman in order to buy and sell timeshares for a little extra money. The answer to this dilemma is that you must have a State of Texas real estate license in order to buy and sell timeshares for a profit. It is easy to get a State of Texas real estate school license, the process all starts with the taking of training classes from an approved training provider. In order to get your State of Texas real estate license you can now do so online. At the online real estate school, you will be able to get your Texas real estate license. Be sure to note that this will be the most convenient way for you to get your license because you will schedule the classes around your needs.